Mother’s Day is the day we set aside each year to show appreciation to our own mother for everything she's done for us. So, this holiday, give her a Mother’s Day greeting card that shows how much she means to you. 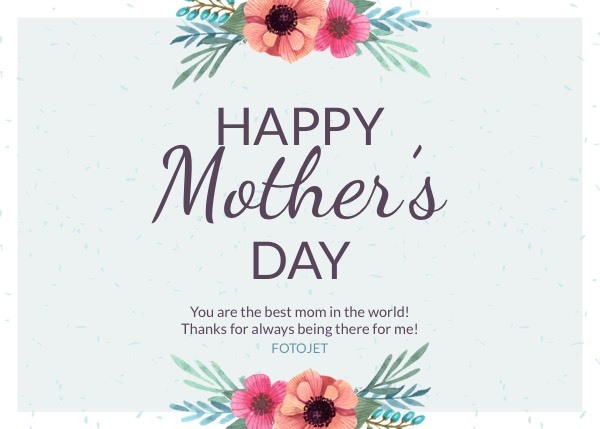 By adding your own personal message to this Mother’s Day card template, she'll know this is a card straight from the heart. It is also available to experiment with font styles and background colors, add your photos or clipart images, and take other steps to create unique card designs!